The mandate of the Joint Illegal Gaming Investigative Teams are to provide a quality, dedicated, integrated, and coordinated multi-jurisdictional investigative and enforcement response to illegal gaming in B.C. 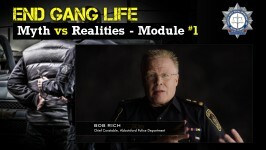 with an emphasis on top-tier organized crime and gangs, specifically those who, through their behaviour, cause the greatest risk to public safety in the province. This mandate will maintain the integrity of public gaming in the province by enhancing a level of enforcement, disruption, and prevention by specifically targeting high-level crime groups. Illegal gaming provides an attractive and lucrative source of income for organized groups to advance their criminal exploits, including violent offences. By targeting this criminal element and not allowing it to flourish via illegal gaming activities. The creation of the JIGIT enables the CFSEU-BC to enhance public safety though the sharing of intelligence with relevant stakeholders as well as to continue building collaborative relationships and forming crime reduction strategies. In order to ensure that what was created was both an effective and efficient investigative unit to combat illegal gaming activities, the CFSEU-BC’s illegal gaming investigation teams will collaborate with GPEB to ensure effective communication to enhance the synergy between units while developing strategies. JIGIT will gather intelligence concerning the gaming industry and manage this information effectively to ensure that all facets of the gaming industry operate with honesty and integrity. The aim is to prevent criminal attempts to legalize the proceeds of crime through gaming facilities, while at the same time be a central repository of information and intelligence on illegal gaming activity in the province. Of note, the CFSEU-BC has an existing agreement in place with the BC Lottery Corporation (BCLC) to proactively ban Provincial Tactical Enforcement Priority (PTEP) individuals who frequent gaming facilities, such as casinos, and who are considered “undesirable” under the Gaming Control Act. During Hon. Rich Coleman’s term as Solicitor General, the province increased its move toward more integration in policing as both a cost-saving measure by reducing duplication of efforts, and in order to solidify the Agency’s impact as an aggressive organized crime fighting unit. In 2004, this restructuring aligned OCABC with its law enforcement partners into the Combined Forces Special Enforcement Unit – British Columbia (“CFSEU-BC”). It is under this agency name that organized crime projects are investigated and prosecuted. CFSEU-BC integrated 14 law enforcement agencies, including OCABC and the RCMP, under one single command structure with oversight provided by a Chief Superintendent. The intent was to integrate the Organized Crime Agency of British Columbia, municipal police and the RCMP into one combined unit to coordinate the province’s response to the growing threat of organized crime and gang violence. In addition to reporting to the RCMP’s E Division Criminal Operations officer, who is in charge of Investigative Services and Organized Crime for the RCMP in British Columbia, the Chief Officer of the CFSEU-BC reports to a Board of Governance which governs the Unit. As parties with a vested stakeholder interest in CFSEU-BC, the Board of Governance typically guides matters related to strategic direction. Members of the Board include RCMP, Provincial, and Municipal law enforcement representatives. While it does have its own policies and procedures, CFSEU-BC generally operates under the RCMP administrative policies and procedures, and adheres to these policies along with specific partner collective agreement policies in its day-to-day operations. The Organized Crime Agency of BC (OCABC) is a unique and special organization of highly trained and specialized professionals providing key operational and administrative support. OCABC personnel are the foundation and core of CFSEU-BC. In addition to being subject matter experts in important investigational, technical and analytical disciplines, they provide continuity and structure to CFSEU-BC. OCABC employees are, for the most part, permanent employees not affected by departure due to other police agency’s rotational secondment models or promotion or transfer back to those agencies. OCABC remains a designated police agency within the Province of British Columbia, and is a permanent member of the Combined Forces Special Enforcement Unit-BC. All OCABC employees are fully seconded, integrated, and an integral part of CFSEU-BC and its ongoing success.